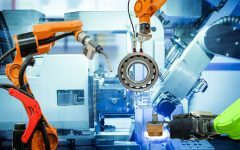 Manufacturing automation providers may be well-established, but they are evolving with innovative technology and diverse use cases. This report looks at the current top 10. Surgical funding, software development, and educational robots were some of the highlights of the past week's automation transactions.